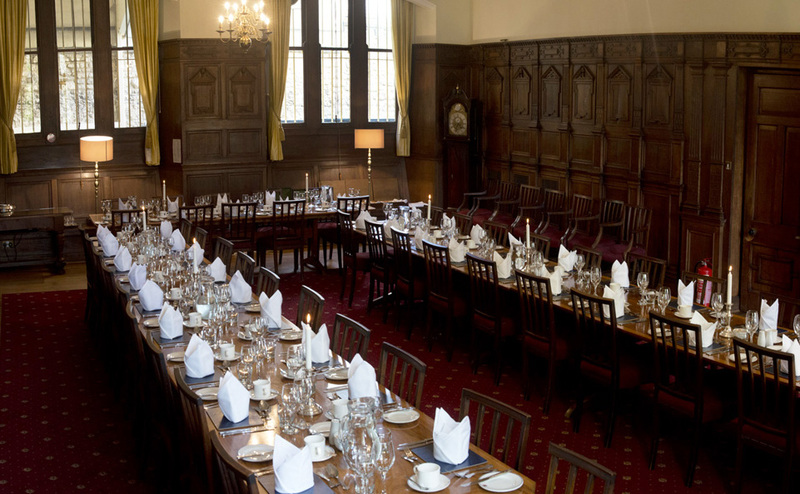 Anyone can come and dine at Balliol. We have hosted family celebrations, parties for local businesses, conference dinners, University functions, wedding receptions and many other events, from banquets for 200 to more intimate occasions. We take pride in offering an outstanding cuisine and a high level of service, which our clients praise highly. Our beautiful dining Hall can seat up to 226 people. 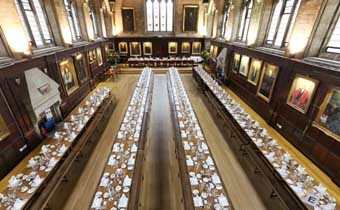 With a vaulted ceiling, portraits on the walls and candles by night, this traditional college setting makes a magnificent venue for all meals, especially banquets. 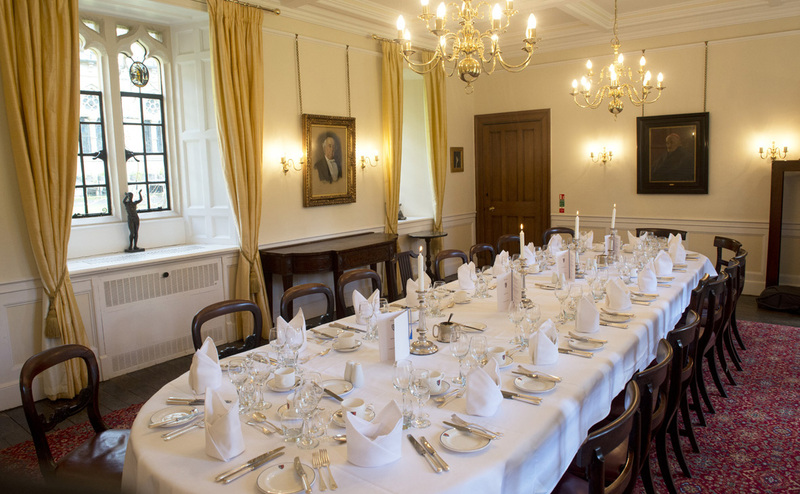 The medieval Old Common Room is perfect for more intimate or informal lunches or dinners, with an anteroom that is suitable for pre-lunch/dinner drinks; or drinks can be enjoyed outside in the Fellows’ Garden. 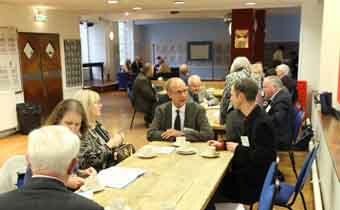 We also offer other smaller rooms for private dinner parties, buffets and drinks receptions. The conference catering service is planned to provide the Chef’s choice for breakfast, lunch and dinner on a day-to-day basis; see the conference tariff. For banquets, private dinners and special functions clients generally choose their own menus from a wide selection. Dinner (three courses and coffee) is from £55.00 per person. The College wine cellar has an impressive selection of wines – a wine list is available on request. Most dietary requirements can be catered for. Flowers and menu cards can be arranged on request. 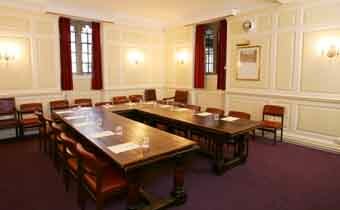 For conferences we can also provide packed lunches.